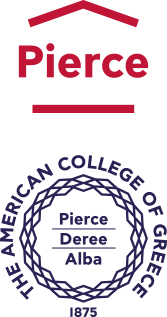 The American College of Greece | ACG is proud to have a strong supporter in Alpha Bank! Home » Why Give » Gifts of Note » ACG is proud to have a strong supporter in Alpha Bank! ACG is proud to have a strong supporter in Alpha Bank! The American College of Greece (ACG) is grateful to have a strong supporter in Alpha Bank, that believes in the importance of offering unique educational opportunities to deserving, responsible young people, especially in these challenging times – as well as in promoting academic excellence and in creating exemplar programs. Alpha Bank is generously providing – for the second year running –numerous scholarships open to Deree and Pierce students, who meet the academic requirements and demonstrate financial need. The funds cover Alpha Bank Scholars’ tuition and meet the mission of The American College of Greece to “add distinctive and sustainable value to our students, Greece, American education, Hellenic Heritage and the global community through transformative teaching, scholarship and service,”while also reflecting Alpha Bank’s vision for society – one that helps equip youth with the skills and knowledge they need to succeed. Since its founding in 1875, The American College of Greece has provided assistance to students needing help in meeting their educational expenses, thereby enabling students with demonstrated ability and promise to access a quality education, regardless of their financial circumstances. The Financial Assistance Program at ACG provides various levels of financial assistance based on need and/or academic achievement. The governing philosophy of our program is grounded in our belief that a lack of funds should never prevent academically-strong students from receiving quality education. Funding for financial assistance originates from the College’s own resources and from the generous contributions of donors (alumni, friends, corporations, as well as from foundations around the world). Close to one out of two students at ACG receive financial support, with 41 percent of those receiving aid receiving it based on need, and 59 percent based on merit. Since 2010-2011, the Financial Assistance program has grown to support ten times more students, as more supporters choose to make a difference in our students’ lives. Every single contribution goes a long way. Thank you for your unwavering support Alpha Bank! You make a difference every day.